Surrey Hills, Sydney (8 August 2014) – Polkadot PR, a leading beauty PR Agency, recently launched a new candle brand called Maison Blanche. 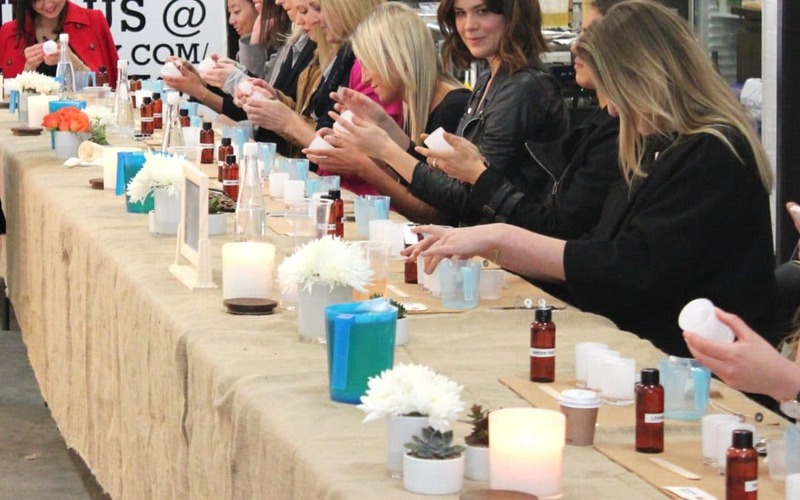 To garner greater publicity for their client, the firm has invited all key beauty media for a candle-making class that will be held later this month. Maison Blanche products are created for discerning customers who want only the best candles to grace their homes. The line features 16 divine scents that each have a unique backstory and help create a relaxing atmosphere in any room that holds them. Popular fragrances include Sweet Pea + Vanilla; Nectarine + Mint; and Black Bamboo + Lily, just to name a few. The candles are also environmentally friendly, since Maison Blanche uses the highest-quality 100% pure soy wax. This wax is more sustainable as it is sourced from plants, unlike paraffin which is derived from petroleum. It also has a lower melting point than the latter, allowing it to burn up to 80 hours while producing no soot. Even the containers are Earth-friendly, being made from high-quality glass in an apothecary design, ready to be reused as a container once the candle burns out. Furthermore, Maison Blanche candles use toxin-free cotton wicks that allow them to burn evenly all the way to the bottom. As a respected Sydney PR Agency, Polkadot PR is pleased to help new companies and brands establish themselves in the market. To learn more about the company’s services, simply visit: www.PolkadotPR.com.au. Polkadot PR is a Sydney-based firm that specialises in handling the PR needs of clients in the food and beverage, interiors, beauty, home, professional services, fashion, and travel industries. The firm was founded in 2006 by former journalist Dionne Taylor, who now heads a dynamic team of PR professionals from all over the world.